New Delhi: Thousands of farmers from across India protesting in national capital against ‘anti-farmer’ policies. 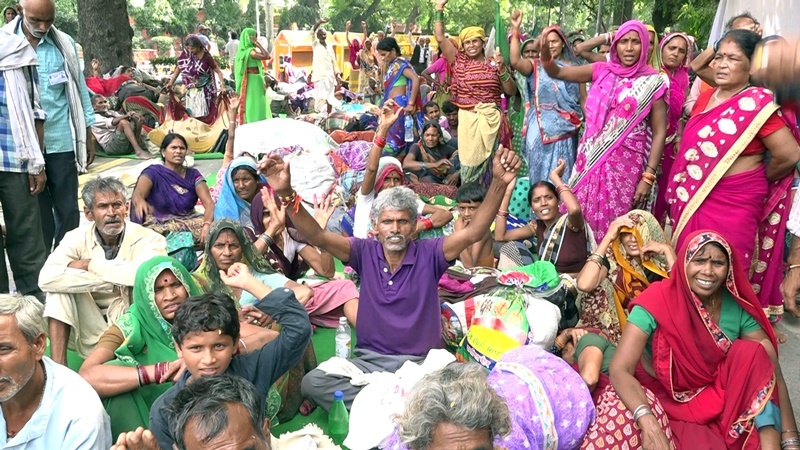 The agitating farmers and workers have raised slogans against the policies of the BJP-led central government and criticised Modi Government for not full filing the promises. On Saturday, Bhartiya Kisaan Majdur Sanyukt Union staged a Massive Protest at Jantar Mantar in New Delhi. While Protesting the farmers ate food on the road, bared in bad weather with naked body and feet.